Focusing has always been a problem with photographers, and even with today's digital cameras it's not easy. The most obvious problem is trying to accurately focus on the subject before exposure. Next, you have to choose the correct aperture size in relation to the depth of field, and make sure you're using the correct exposure. Then there's lens aberrations, where a certain ray of light does not converge to a single focal point in the desired image, resulting in some light leaking away from the desire point and blurring the image. Basically, it isn't easy to get the picture you want. A new company called Lytro aims to fix these problems with their upcoming "light field camera" that lets you shoot first and focus later. These new light field cameras allow both the photographer and viewer to "focus pictures after they're snapped, shift their perspective of the scene, and even switch seamlessly between 2D and 3D views." The light field sensor inside the camera captures the color, intensity and vector direction of each of the rays of light, which is impossible to do in regular digital camera sensors that simply add the rays up into one recorded light sum. And powerful integrated software takes the place of internal mechanisms, allowing increased performance in most every aspect of picture taking, from speed to low light situations. "This is the next big evolution of the camera," said CEO and Founder Dr. Ren Ng. "The move from film to digital was extraordinary and opened up picture taking to a much larger audience. Lytro is introducing Camera 3.0, a breakthrough that lets you nail your shot every time and never miss a moment. 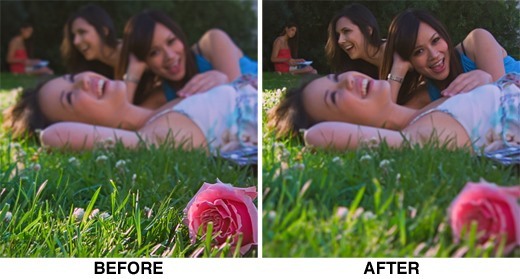 Now you can snap once and focus later to get the perfect picture." There's no actual release date for these cameras yet (or any pricing), but once they become available it will be a cinch to get the picture you want. 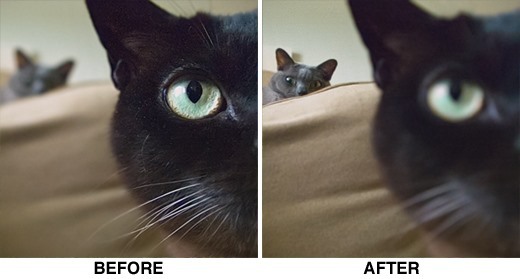 Simply snap the photo with the camera, upload it into the software program, then click on a blurry section to see it miraculously shift focus into a clear image. To play around with the software now, check out their picture gallery which lets you preview the focusing capabilities. Or check out this video for a walkthrough of the whole process. 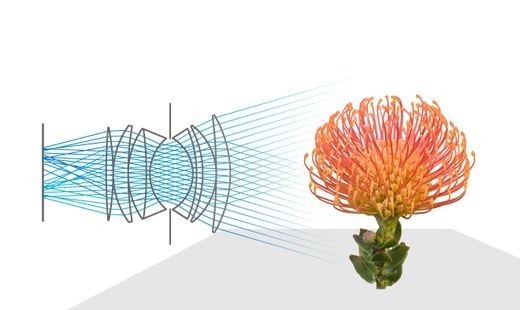 For more on how the camera works, check out Lytro's explanation. And keep up to date in the Lytro Blog. You can also reserve a camera if you want.